Farro, a variety of hulled wheat, is praised for its chewy texture and nutty flavor. 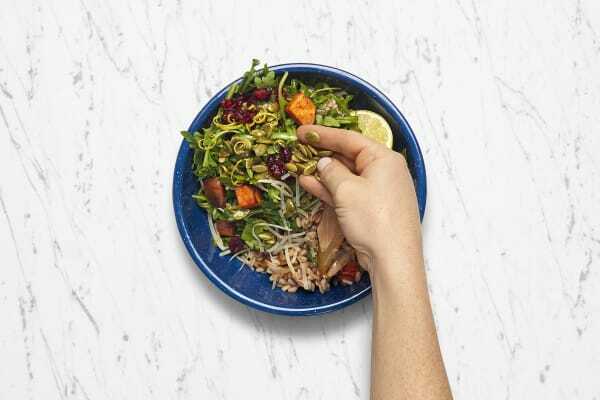 To make the this grain bowl shine, we pair our beloved farro with sweet roasted vegetables, peppery arugula, sweet-tart marinated cranberries, lemony dressing, nutty Parmesan cheese, and our own Salsa Verde Sunflower Pepitas. Adjust oven rack to top position, then place a baking sheet inside. Preheat oven to 425 degrees. Place farro, stock concentrate, and 4 cups water in a medium pot. Boil until farro is tender, about 30 minutes. 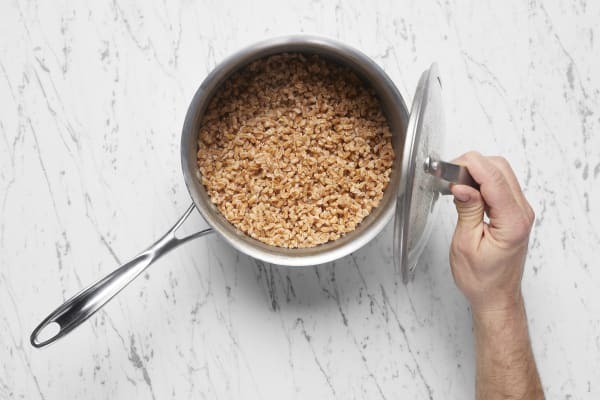 TIP: If water evaporates before farro is cooked, add a splash more. Meanwhile, wash and dry all produce. Halve, peel, and cut onion into 1-inch wedges. 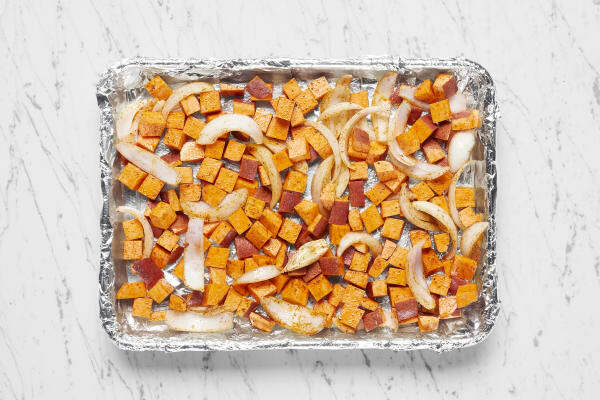 Dice sweet potatoes into ½-inch pieces. 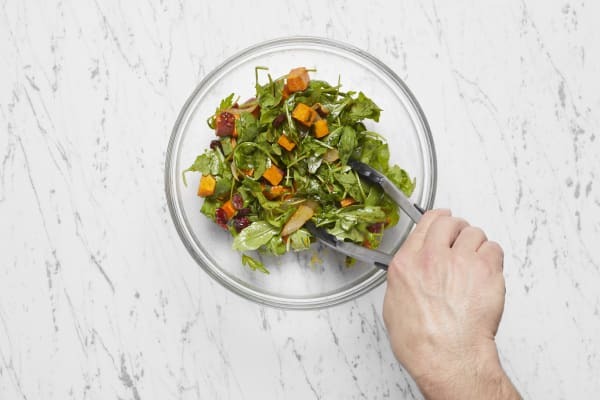 Toss veggies in a large bowl with chili powder, a large drizzle of oil, salt, and pepper. Transfer to preheated sheet. Roast until browned and tender, 20-25 minutes. While veggies roast, zest 1 tsp zest from lemon; quarter lemon. In a small bowl, combine 1 tsp sugar and juice from 2 lemon wedges. Stir in cranberries. Let marinate, stirring, for 15 minutes. 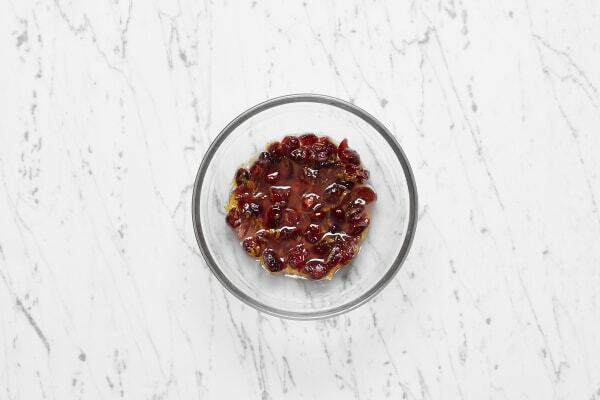 Once cranberries have marinated 15 minutes, transfer lemon juice mixture to a large bowl. (Leave cranberries in small bowl.) 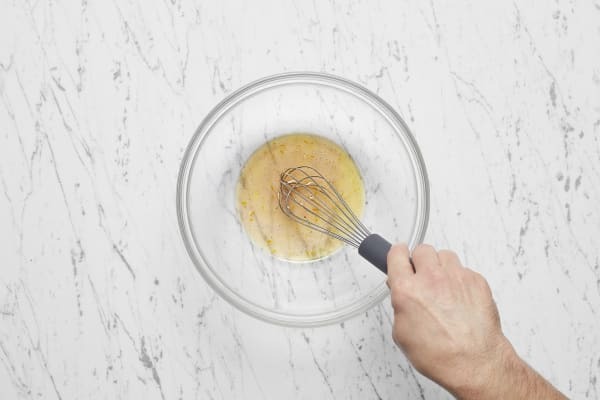 Whisk 1 TBSP olive oil into lemon juice mixture; season with salt and pepper. Stir 2 TBSP butter, half the roasted veggies, and half the dressing into farro. Season with salt and pepper. 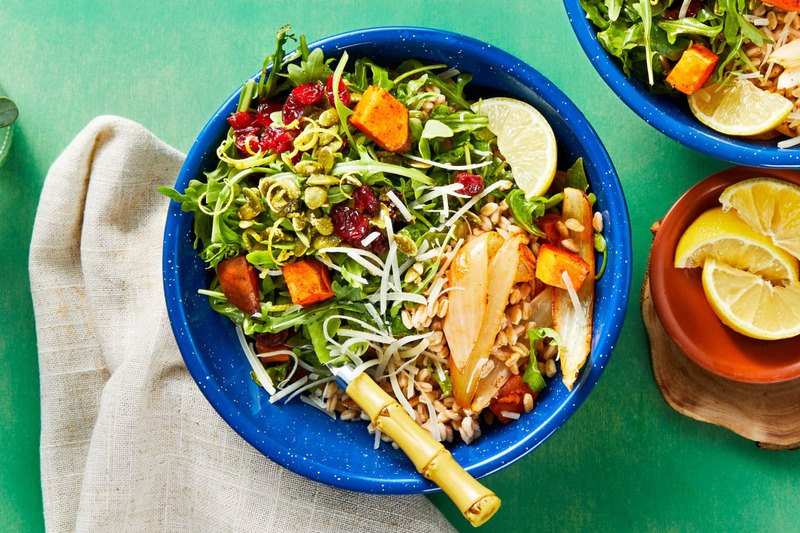 Add arugula, cranberries, and remaining roasted veggies to bowl with remaining dressing; toss to coat. Season with salt and pepper. Divide farro mixture between bowls. Top with arugula mixture. Sprinkle with Parmesan, lemon zest, and Salsa Verde Sunflower Pepitas. Serve with remaining lemon wedges for squeezing over.